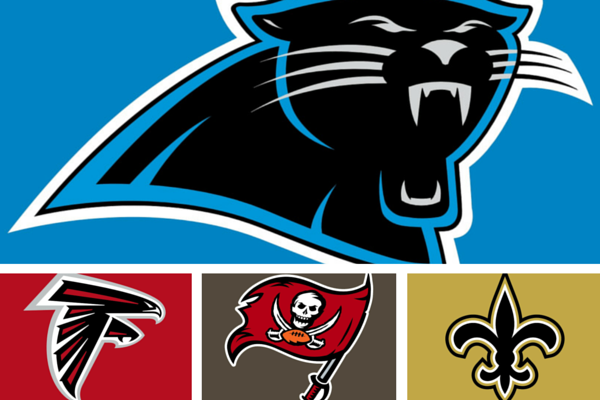 The reigning NFC Champions reside in the NFC South. Carolina dominated throughout the 2015 season only to put in a dismal performance at Super Bowl 50. Will they have a Super Bowl hangover? Alex Mack was brought in to anchor the offensive line and help protect Matt Ryan. Ryan should be much improved in year 2 under offensive coordinator Kyle Shanahan. Dan Quinn enters his second season as head coach in Atlanta and should see an improved team though their record may stay the same as 2015. The schedule is tough but the Falcons will be good enough to be in the hunt for a Wild Card spot as they close out the Georgia Dome. The Panthers were 15-1 last year but it was all forgotten after a Super Bowl loss. Cam Newton is back to lead the offense which will get Kelvin Benjamin added to it after he was lost to injury in 2015. The defense lost John Norman but gain Brandon Boykin. That’s a bit of a down grade but Ron Rivera will still assemble one of the league’s best defensive units. The Panthers are still the best team in this division. The Saints simply must get better on defense. They were last in points per game and second to last in yards allowed last year. That’s just too much pressure to put on the offense every week. They addressed the defense in the offseason and hope James Laurinaitis and Nick Fairley can help it improve immediately. The offense lost Benjamin Watson and Marques Colston but gained Coby Fleener and CJ Spiller. Will the new guys gel with Drew Brees right away? A lot of questions in New Orleans make it hard to see a winning year for the Saints. Dirk Koetter was promoted to head coach from offensive coordinator. He looks to help Jameis Winston improve on a good rookie season. The offense should be good in Tampa but the defense has question marks. This will be an improved team but they’re not quite playoff caliber yet. Sign up now to reserve your spot in our NFL week 1 Pro Football Pick ‘Em! Get your chance to win bragging rights plus cash and prizes to start the 2016 NFL season! I want to reserve my spot in the SportsFormulator pro football pick 'em contest. Our 2016 Fantasy Football Rankings are out! Get ready for your Fantasy Draft so you can dominate this fantasy football season.